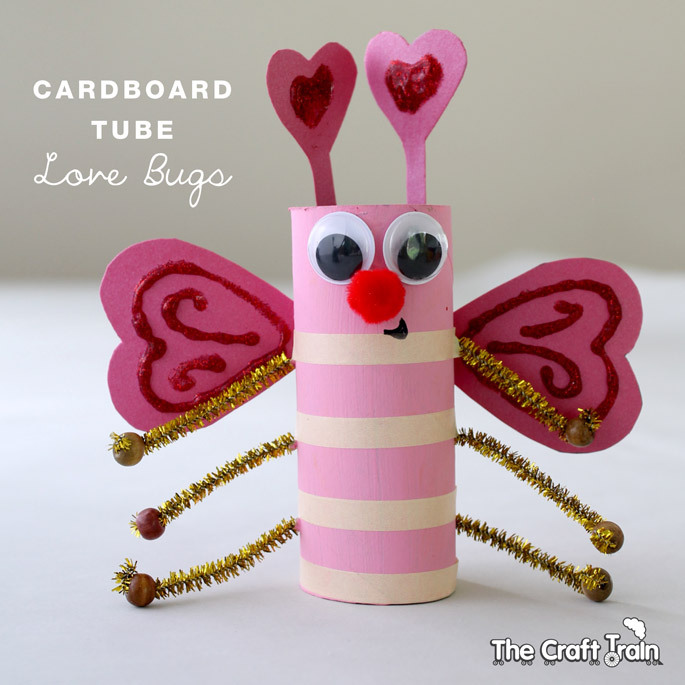 You know we can’t get enough of cardboard tube crafts here at The Craft Train! 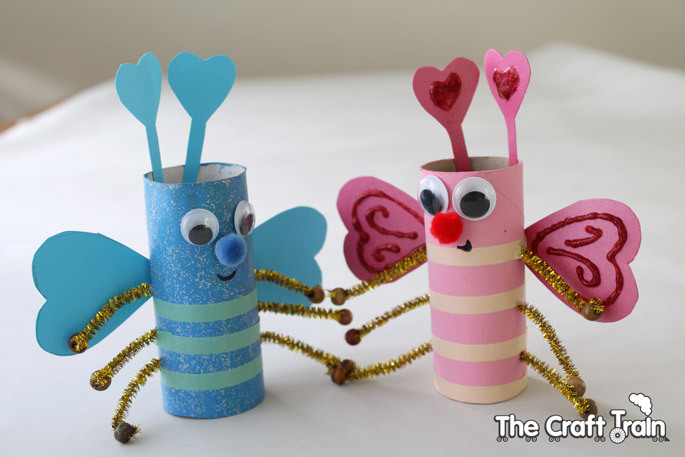 Here are some simple love bugs for Valentines Day that the kids will enjoy making (at least mine did, and I loved making them just as much!). 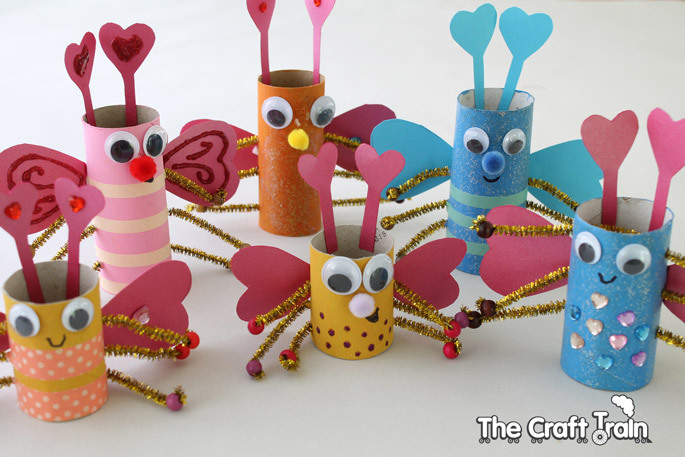 All you need to create these bugs is a paper tube and some basic craft supplies, and when you get to the decorating part anything goes. 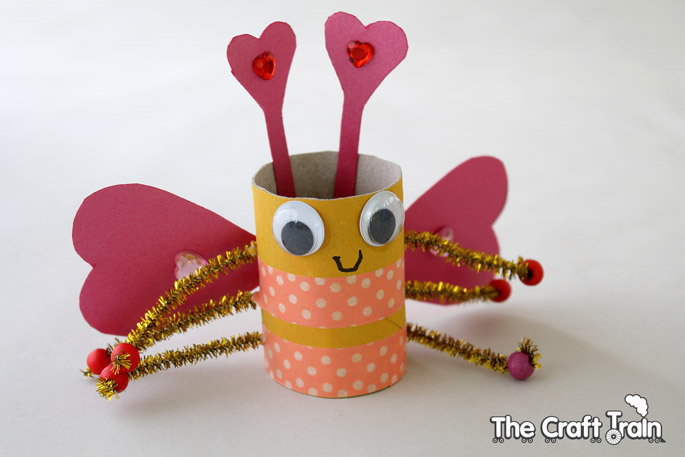 Use whatever supplies you have on hand in the cupboard and get creative with it! 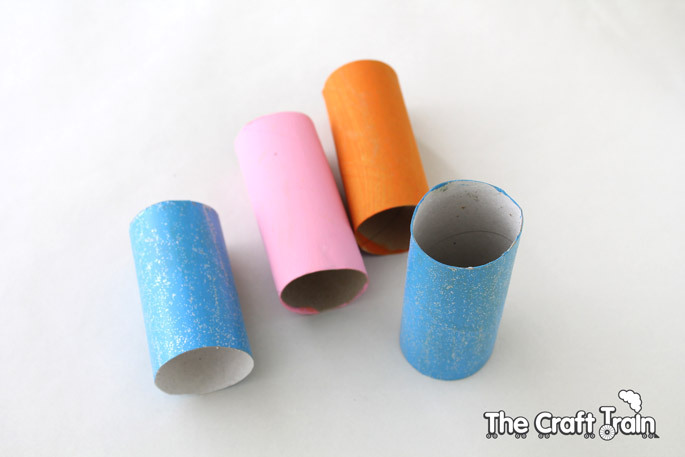 Paint your cardboard tubes and allow them to dry. You can cut them down to a shorter length to create some smaller bugs if you like. 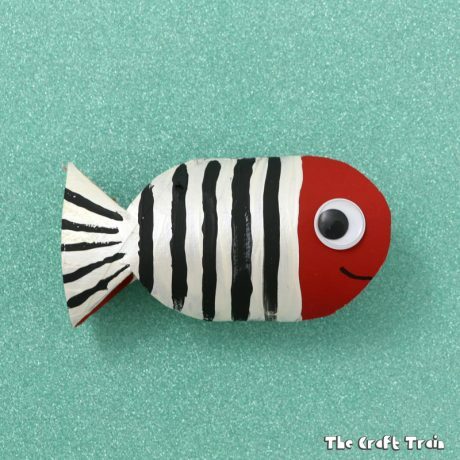 We happened to have some ready-painted rolls stashed away in the craft box so we could get straight to the decorating. Poke six holes with a kitchen skewer for the pipe cleaner legs to go through – that’s three down each side. 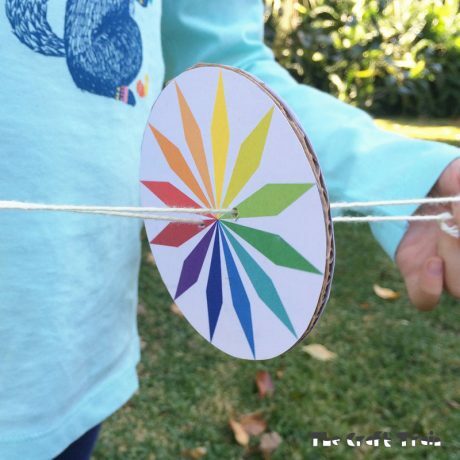 Simply poke the skewer in one side and out the other three times (note- this part is best done by an adult unless you have older kids). 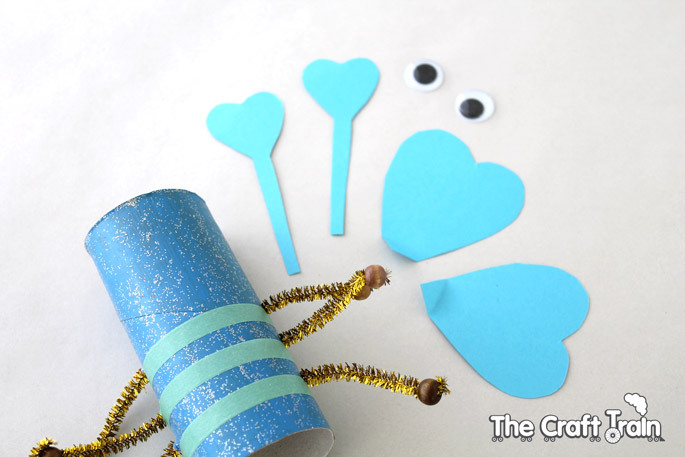 Cut two pipe cleaners in half to get four pieces (but you will only be needing three of them). 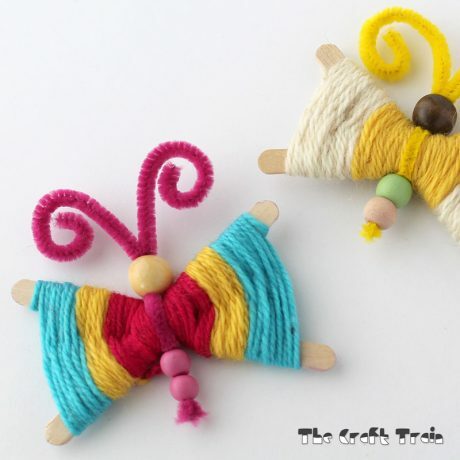 Thread your three pieces of pipe cleaner through the holes to make six legs, and then attach a small bead to each end of the pipe cleaners to create hands and feet. You are now ready to add the details. 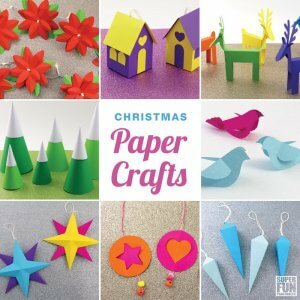 Decorate the body with stickers, washi tape, plastic gems, markers, glitter glue etc. 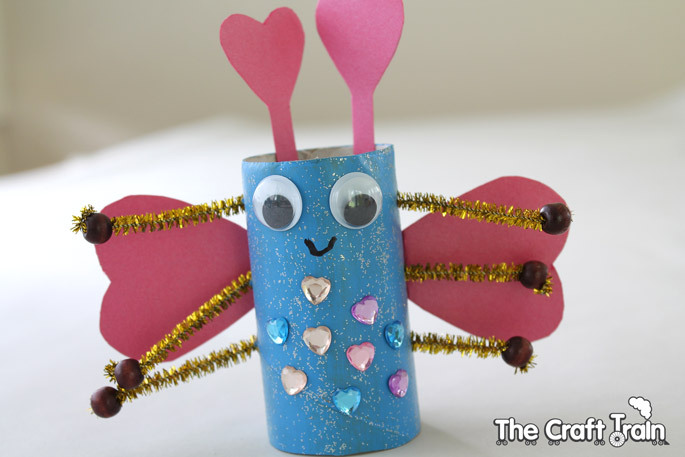 To create the wings and antennae fold your piece of construction paper in half and draw a medium-sized heart for the wing shape and a small heart with a stem coming from the bottom for the antennae. 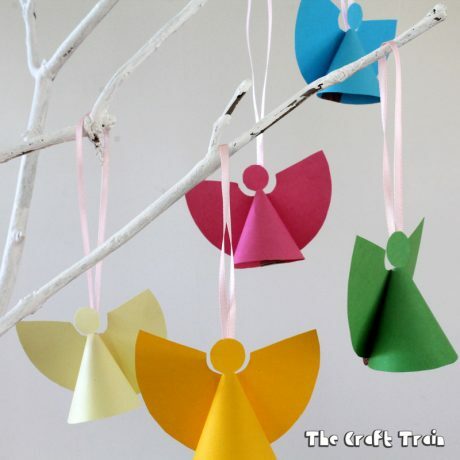 Cut these out while the paper is folded in half so that you get two of each shape. 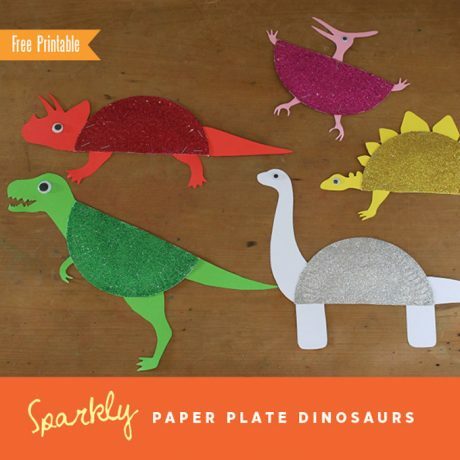 Glue on the googly eyes and construction paper shapes last of all and leave to dry. Aren’t they cute? We made lots of them. 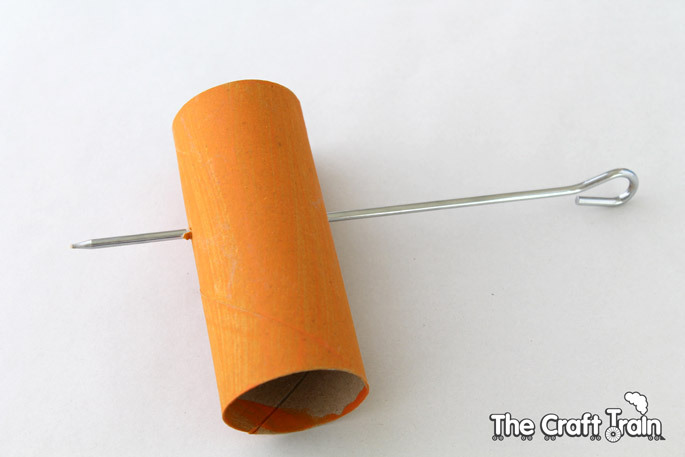 Make a cardboard tube shaker for a fun musical instrument! 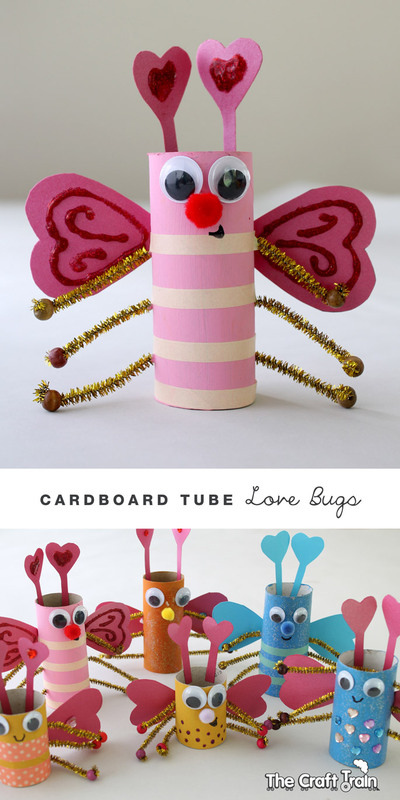 We also have a cardboard tubes dedicated Pinterest board with STACKS more simple craft ideas. 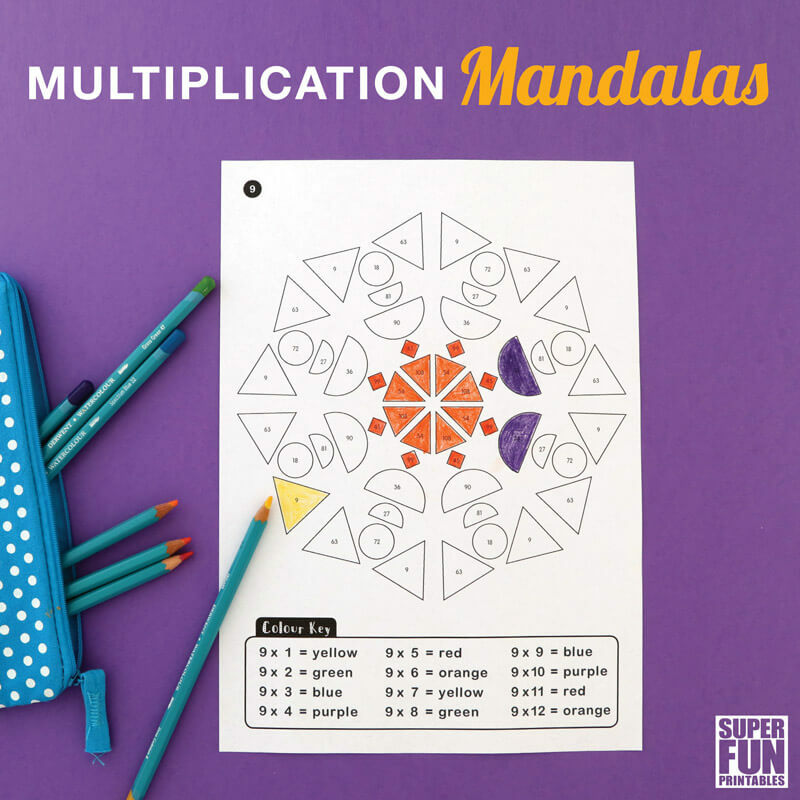 They are such a versatile material!